We provided a 5-day summer camp for 35 young people, aged 8 – 25 years old, living in a family affected by Huntington’s Disease. The camp included a range of daytime and evening activities as well as one-to-one and group sessions with Scottish Huntington’s Association Specialist Youth Advisors, on the issues surrounding Huntington’s disease and being a young carer. 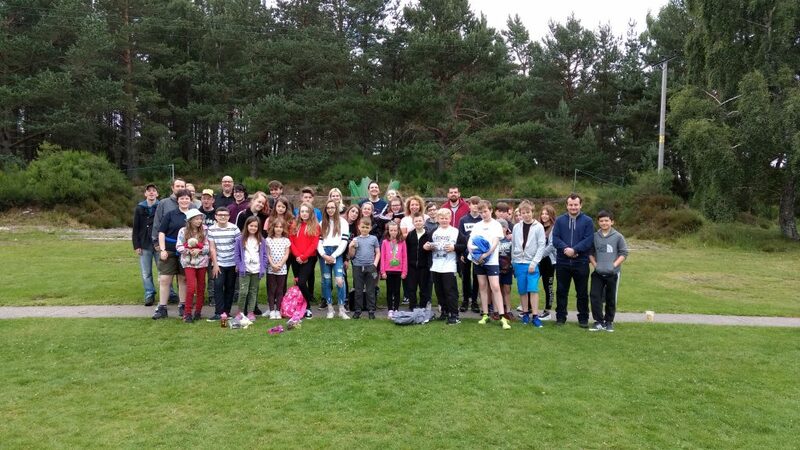 Scottish Huntington's Association Youth Project (SHAYP) has worked tirelessly over the year to organise a bespoke 5 day summer camp for young people living in families affected by Huntington's Disease (HD). Along with 5 SHAYP Staff, 5 additional volunteers were recruited from the our volunteers and received bespoke training to understand the needs of young people at camp. SHAYP secured an appropriate venue, organised daytime and evening activities, facilitated the 5 day camp including transport to and from venue, planned and delivered a young persons conference on Huntington's Disease: The Past, Present and Future. All young people invited were known to the Scottish Huntington Association and living in families impacted by Huntington Disease. Over 120 young people were invited and 35 attended. The young people stayed for 5 days from Monday 10th July to Friday 14th July 2017. The summer camp venue was Lagganlia Centre for Outdoor Learning which is a fantastic venue with an excellent choice of activities including duckies, white water rafting, skiing, gorge walking, mountain biking, mountain climbing to name but a few. During their break away the young people developed and maintained peer relationship, discussed young carers specific issues and relaxed away from caring responsibilities. Bobby (16) attended camp and has been experiencing ongoing difficulties with his mothers refusal to bathe, take her medication and obsessive thoughts about ending her life. Bobby has found this period of time incredibly difficult and has experienced low moods. Bobby attended the camp festival which was entitled HD: The Past, Present and Future. During this session, Bobby improved his knowledge about Huntington Disease and why his mother was behaving in that manner. Bobby also improved his knowledge about how to manage these symptoms and support his mother better. Following camp Bobby explained " living with Huntington Disease is often impossible, now I understand why it feels impossible and what I can do to make life easier. I feel better able to keep going". Show Case Study Hide Case Study A difference SHAYP Summer Camp 2017 made: Young people will have increased positive expectations for their future, 35 young people will improve their knowledge about Huntington Disease research. 35 young people will be trained in mindfulness techniques. During the festival the young people were introduced to the current research into treating Huntington Disease. Ailie (19) has struggled with a positive gene test and an increasingly symptomatic mother. Ailie attended the workshop on research and following on from this explained that she now had hope for the future and applied to participate in a research study. "Finally I've learned that there's hope and people are actually trying to find a treatment not just for people who are symptomatic but people like me who don't yet have symptoms. I've waited years for some good news and now I'm going to do something to give back to the Huntington Disease community and help". 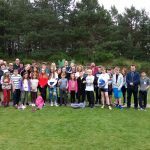 Show Case Study Hide Case Study A difference SHAYP Summer Camp 2017 made: Young Carers will develop a peer support network which is sustained after camp, 35 young carers attended a 5 day summer camp. Young carers will report increased peer support. Tara (13) attended camp and was struggling with how her father's Huntington Disease was progressing and the difficulties she was experiencing at home because of this including Dad becoming socially withdrawn. During camp Tara attended structured group work sessions on coping with Huntington Disease, understanding the disease and the future of Huntington Disease. Tara received information about the disease and bonded well with a group of 4 other young people. Following camp this group have stayed in contact via Snapchat and WhatsApp and have been of continued support to each other when things are difficult. Through attending camp and sharing their experiences Tara has stated that "Huntington Disease suddenly makes sense and I feel I can speak to my friends about whats going on. I don't have that with my school friends but now I know who I can ask for advice". SHAYP has learned that, providing respite opportunities for Huntington Disease families is integral to a young persons long term coping, peer Support has a far reaching impact for the young people, especially post camp. Encouraging new young carers to camp has improved benefits for them and the entire group. Organisation is paramount. Set a plan of action with deadlines and targets. Ensure you meet all your deadlines. Provide opportunities for the young people to discuss any concerns or worries they may have. Record whilst at camp any issues raised by young people to ensure that these are tackled after camp. "The relaxation session at the end of the presentations was really good and gave me some good techniques to reduce stress at home."